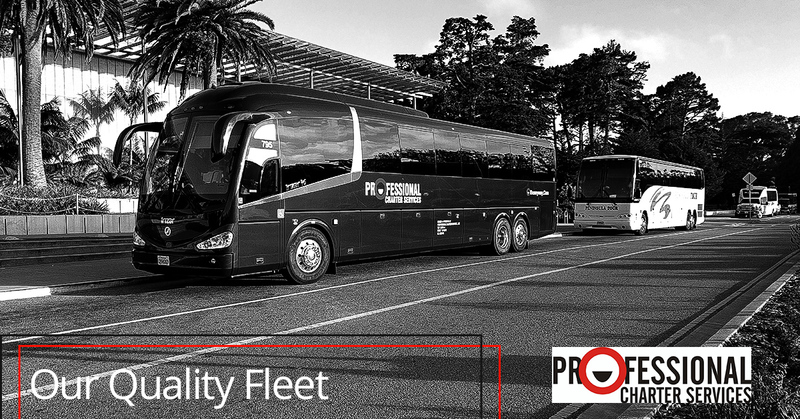 When you rent a bus or charter vehicle from Professional Charter Services, one of the things you want to be sure of is that you are getting a vehicle of the quality that you expect. That is perfectly understandable, because we would want to know the exact same thing, and we believe that every client deserves to have not only a quality vehicle, but quality service, too. That’s why we have put together this handy guide to help you to know that you’ll be getting the caliber of vehicle that you want for your trip. 1. We keep our fleet in good working order. One of the most primary, basic rules of thumb that we always abide by is that we never want any guest to have to go the experience of getting stranded on the side of the road due to a breakdown. We place a high priority on ensuring that you can get from point A to point B with no delays or needless interruptions. And while there are certain things that we can’t control (traffic, behavior of other drivers, certain weather conditions, etc.) what we CAN control is keeping our fleet well-maintained and in proper working order. This is just the way we do business. It wouldn’t make sense to do it any other way. 2. We pride ourselves on offering you a clean vehicle. Have you ever noticed that the human eye is drawn to pick out flaws, distortions, and things that are out of order? For instance, you go to a friend’s house, and everything is mostly clean, but there’s that one pile of clutter that looks unsightly. Or you see someone wearing a beautiful blouse, but you can’t help noticing the small, faint stain on the front. We consider it to be the same with our buses. If there’s one little gum wrapper on the floor, people will notice it, and we want to be noticed for our attention to detail, excellence, and cleanliness instead. So we offer you a clean bus every time. 3. We remodel to keep the interior of our charter vehicles in tip-top shape. You’d be surprised how quickly the seats on a bus begin to look faded, dated, and shabby just by people sitting on them every day. We’re not interested in keeping you in the 1990s. Check out the interior photos of our fleet to see how gorgeous the interiors of our buses are. 4. We offer all the amenities you’d expect from the best charter bus rentals. We understand that our customers expect their charter bus to have all the amenities that will make the voyage a pleasant one. Whether you’re looking for air conditioning, bathroom facilities, or wifi, we have it all! 5. We don’t allow smoking on our charter buses. If you’re a non-smoker, you know how instantly you can smell the stale smell of leftover cigarette smoke, even in a vehicle that has been cleaned. For the health and safety of all our passengers, we don’t allow smoking on our buses. Check out the photos of our fleet today, and give us a call to get a free quote for charter bus rentals.